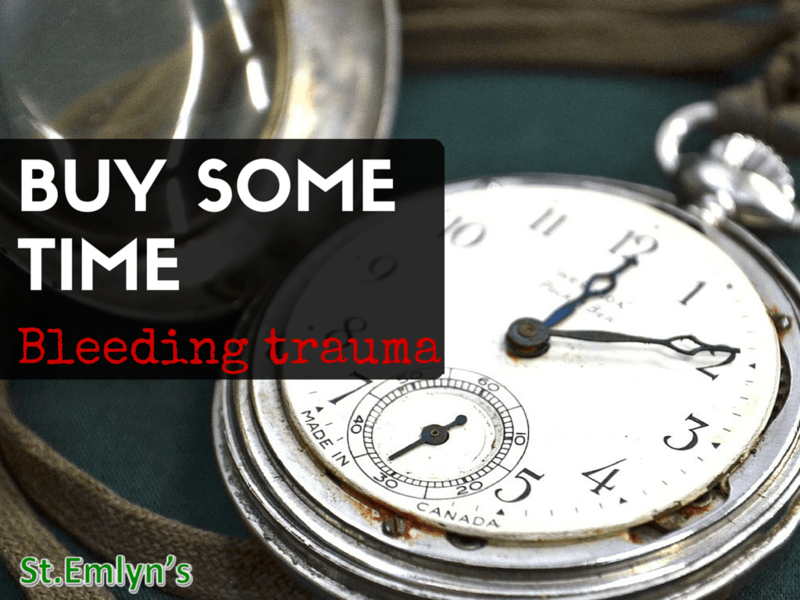 Can we buy time in bleeding trauma. St.Emlyn’s. Some believe that inappropriate resuscitation measures may even contribute to the fairly severe multi-organ failure we sometimes see following damage control surgery in these patients. Indeed, there is a national UK project pending on this in the next few months. Are these cases unavoidable? 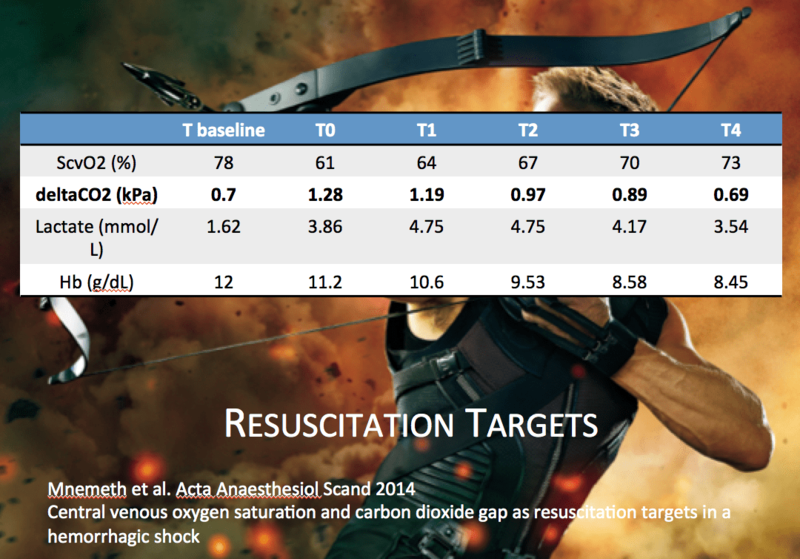 Is it a consequence of necessarily aggressive resuscitation? Could it be prevented? We like to directly stop bleeding (where we can). We all like TXA (apart from the Americans). We all like 1:1:1 since PrOPPR (as well as the Americans) and we all like to avoid the lethal triad. But fluids versus no fluids? Vasopressors versus volume? And just how quickly can we get our 1:1:1? Basically we all talk about Damage Controlled Resuscitation (DCR) as if it’s straightforward and simple: It’s not always the case. In health only 30% of blood volume is within the arterial circulation. The other 70% is present within the unstressed circulation, made up predominantly from the venous capacitance vessels. The recruitment of this unstressed volume forms the basis of our evolutionary fight or flight neurohumeral response enabling rapid increases in cardiac output at times of stress. How do we access the unstressed circulation? Venous return or preload is not only dependent on the absolute circulating volume but also the degree of tone in the walls of the veins themselves. We see the body recruiting this volume perfectly in conscious individuals with active bleeding; we have all seen impressive compensation in young patients and the masking of clinical signs associated with impending exsanguination. Unfortunately, sometimes out of necessity we obliterate this response with anaesthesia, analgaesia or sedation. Cardiac output is availability-limited and restoration of adequate blood volume is the priority. In many trauma systems blood products are not always as available for transfusion as quickly as one would like. Fig 1: Simplified Frank Starling curve noting the relationship between preload (right atrial pressure on the x axis) and cardiac output (y axis) displayed as dashed lines; the blue line denotes a normal state of contractility, the red line denotes the limitation in contractility associated with an isolated increase in afterload. 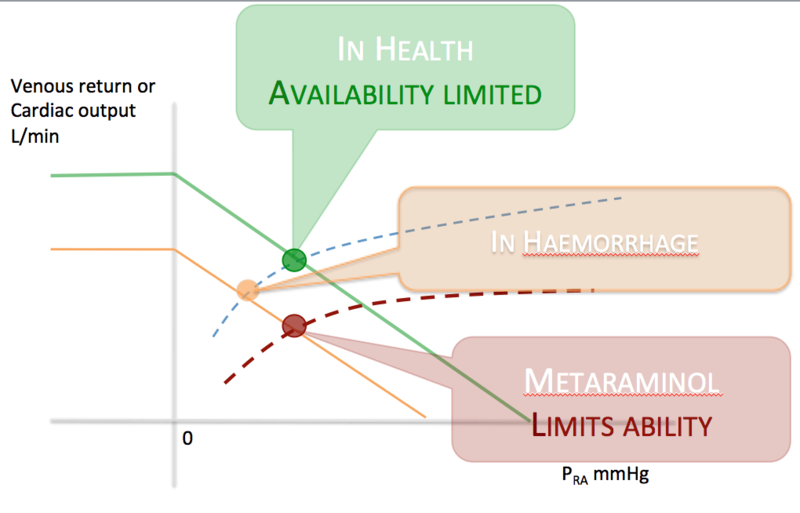 Superimposed is also the fixed relationship between preload (x axis) and venous return (y axis) as continuous lines, both in health (green) and in haemorrhage (amber); when venous return is decreased, the diagonal line moves down in a fixed position, thus reducing preload and consequent cardiac output. So what can we do? Particularly if a brain injury is suspected and permissive hypotension is less attractive? Volume replacement with matched blood/products is key. But there is also the potential option of recruiting unstressed volume by infusing low dose norepinephrine, thereby replicating the deficient endogenous response. This could buy you time and keep the patient (minimally) alive until definitive haemorrhage management. But doesn’t that require central access? Ideally yes. However there is also some limited evidence to support the safe use of peripherally administered vasoactive agents in the short term through cannulae sited proximal to the forearm. Can we not just give metaraminol or Ephedrine? 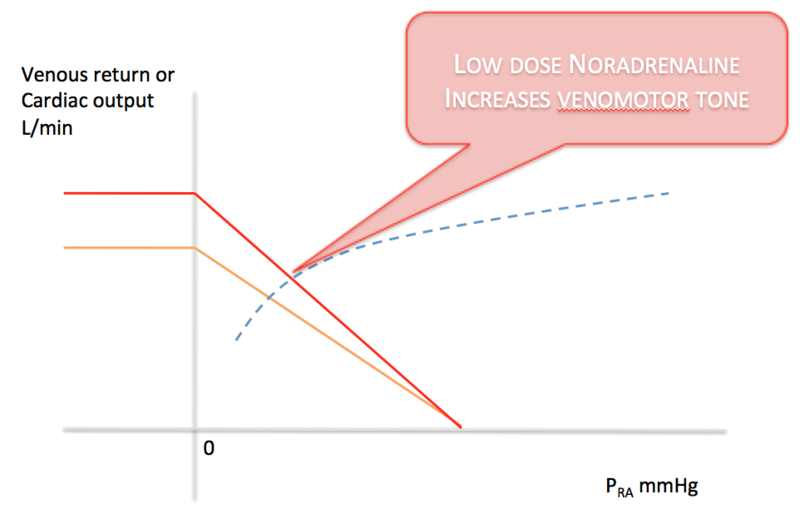 Fig 2: As per figure 1 the continuous amber line represents the relationship between preload and venous return in haemorrhage; the red continuous line here highlights the additional venous return created with low dose noradrenaline. In shock states this can lead to increased preload and improved cardiac output as per position on the Frank Starling curve. In an individual with reduced sympathetic tone (read anaesthetized or unconscious patient) the response to hypotension may often involve a bolus of metaraminol in an attempt to restore adequate arterial pressure and perfusion. Unlike our endogenous catecholamine response, metaraminol has a predominant effect on the already stressed circulation. It causes an acute increase in afterload that reduces myocardial contractility. Cardiac output then becomes ability-limited at a time when it is already availability-limited. This is not good! Why not just increase venous return by infusing crystalloids if blood products are not yet available? A crystalloid bolus will transiently improve cardiac output for a few minutes but it may not be accompanied by an increase in oxygen delivery, given the loss of oxygen carrying capacity seen in massive haemorrhage. Any infused salty solution rapidly leaks out of the circulation during the inflammatory response seen in trauma. This increase in extravascular water is most commonly seen clinically in the lungs. The decrease in the efficiency of gas exchange can be dramatic, and if accompanied with positive pressure ventilation trigger the diagnosis of Acute Respiratory Distress Syndrome. 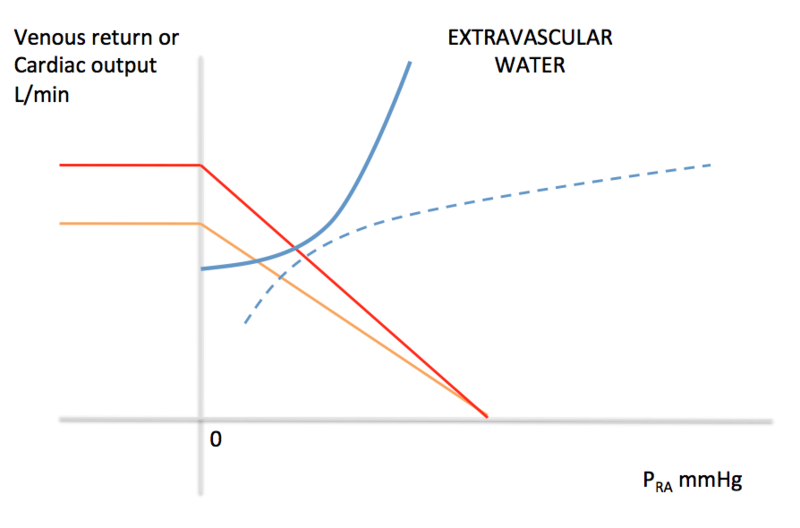 Fig 3: As per figure 2 with addition of the Marik-Phillips curve; this image highlights the risk of liberal crystalloid use in acute resuscitation with consequent extravascular lung water accumulation and increasing risk of organ failure. Altered function from an increase in extravascular water can also seen in the myocardium, encapsulated organs and enclosed body compartments. This reduction in function may exacerbate any pre-injury pathology, leading to decompensation and further organ failure. This could be a mechanism for subsequent multi organ dysfunction. 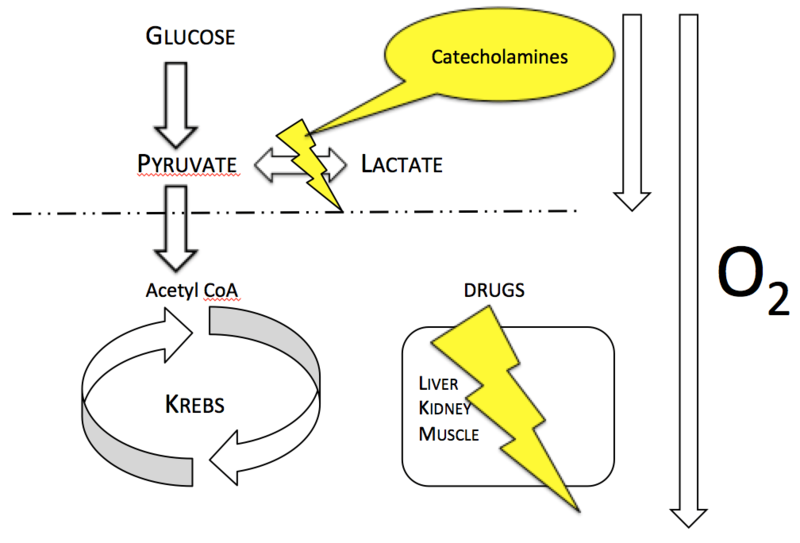 Fig 4: Impact of catecholamines/acute trauma on the Krebs cycle; lactate acts as an important cellular fuel source and the value of trend information may be limited in the acute phase. Once definitive haemorrhage control has been achieved, what are the end-points for resuscitation? Once definitive haemorrhage control has been achieved, any exogenous catecholamine infusions can be reduced to increase venous capacitance. This enables the restoration of adequate blood volumes in both the stressed and unstressed circulation but the end-points for resuscitation are hard to define. Lactate is an important cellular fuel source in stress produced in both aerobic and anaerobic metabolism. Lactate levels will be raised following significant trauma and should be expected to be elevated during damage control surgery. Absolute lactate levels or the rate of lactate clearance therefore should not be utilized as a lone target to guide fluid management or solely used to infer the adequacy of tissue oxygen delivery at a single point in time. The arterial-venous gradient of carbon dioxide may be more useful in the assessment of the adequacy of fluid resuscitation in trauma. This is all well and good, but doesn’t the evidence show that these people just need blood and urgent surgery? Yes, I suppose it does. However, that is an additional point to think about. You may have several units of O negative in your fridge. You may have a fluid warmer available. You may have a major haemorrhage protocol. Is this enough? Do you have a systematic process that allows you to hold a theatre suite, activate and standby the surgical team, release O negative matched products in large volumes (in addition to platelets/cryoprecipitate) and trigger a consultant /attending response the moment a patient arrives? A code red protocol can be much more than just a way of quickly obtaining blood products as some are starting to show. Ask yourself carefully – when a bleeding trauma patient comes to your hospital do your pre alerts allow you to cascade the above immediately? Or more often are you waiting for something. I know I usually am. Shouldn’t we try and concentrate on fixing the system rather than changing anything else? Yes, I suppose we should. But that takes time. And in the meantime, we have a long way to come in regard to education of the harms associated with aggressive crystalloid use in these patients, and the harms of push dose arterial pressor agents. SO… I suppose we have pinned our colours to the mast and declared which side of the debates we are on. But we would love to know your feelings as well on this and the thoughts behind your current practice. In the absence of clear evidence the debate is evolving on all these fronts; get involved, ask questions and think hard about what you do early on – it will have a lasting effect on outcome over the next few days and your intensivists will thank you for it.